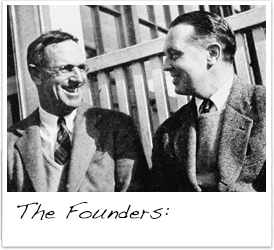 Chester Thomas "Chet" Kermode was a fine tennis player and had represented the US against Canada on an international tennis team, but had never seen platform tennis until well into his 40s. When he did pick it up, he was competing successfully in regional senior events within two years and won many 45+ events, including the Cleveland Masters 45+ seven times, the last one when he was 68 years old. Then it was off the Nationals, where he won the Men’s 50+, 55+, and 60+ three times, and then the 65+. Chet loves to teach new players and served on many tournament committees. Kermode lived in an area where there were no paddle courts for many years, so he was in his 40s when his tennis club installed some courts and he saw the game played for the first time. He loved the competition and the camaraderie on a tennis court, but here was a game where the camaraderie was in much closer proximity, and there was exercise that he loved. He was more than a credible tennis player as he had been on the tennis team in college, had won two state father/son tournaments, and represented the U.S. for six years on the international senior tennis team that competed against Canada. Two years after picking up the game, at an age when most of his brethren were quitting competition or playing for fun, Kermode was competing and winning regionally in the 45+ events Between 1977 and 1984, he won the Cleveland 45′s championship six times, and was a finalist twice. After the fifth regional win in 1983, he competed at the Men’s Senior Nationals, playing against the likes of Chuck Baird, Roger Lankenau, and Gordon Gray. He won the Cleveland Masters 45′s for the seventh time in 1997 at the age of six-eight. As Chet moved up in the successive age groups, he kept on winning, beating teams that at one time had been seeded in the Men’s Nationals. He won the Men’s 50+ in 1983, the 55+ in 1984, the 60+ in 1989, 1993 and 1994 and the 65′s in 1996. He played in the final match of the National 60+ four times in the five-year span from 1993 to1997, as he was a finalist in 1996 and 1997, and a finalist in the 65+ in 1997. With this record Kermode found himself in exclusive company, being one of only two people, the other being Chuck Baird, to win a National Championship in four of the five senior age brackets 45+, 50+, 55+, 60+ and 65+ . One can love the competition and the camaraderie, but standing up to the rigors of consecutive matches on consecutive days at any age takes stamina. To do it in your 60′s is remarkable. Kermode won with ability, but he also won with his mind. He analyzed the game, bringing his engineering mind to it. And, platform tennis is a game that lives on strategy and cunning, particularly at the senior level. Chet’s love of the sport was contagious and so was his attitude on the court toward his partners and opponents alike. He was a gracious competitor, win or lose, unalterably fair, and never let the heat of battle get in the way of the fun he was having. 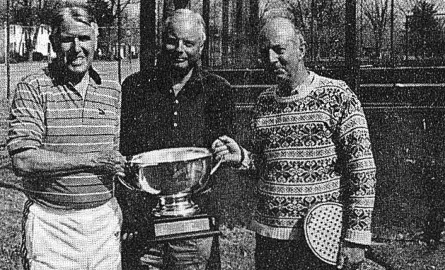 Kermode also loved to teach new players and for years willingly gave clinics at the Cleveland Racquet Club. 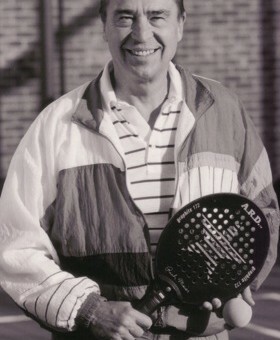 He was the 1990 Senior National Tournament Chairman and served on numerous other tournament committees. He has also written instructional articles on the game, both in local publication and in the APTA newsletter.